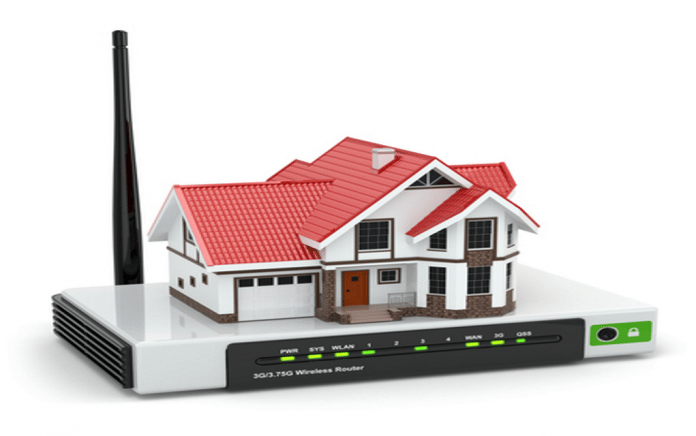 Users of advanced home network routers nowadays get an array of benefits. People are eager to gain knowledge about how to maximize the usage of an ideal home network router. They have to understand the importance of the default IP address for administrating different aspects of the home network router. The following details reveal the most important things about the default IP addresses of well-known brands of home network routers. An Internet Protocol (IP) address is a label assigned to all resources in every computer network. This numerical label is used by resources for identification and communication with each other. The main purposes of the IP address are as follows. Some resources in a computer network have default IP addresses. These resources’ IP addresses can be changed by users when manufactures of these resources designed them with enough flexibility. A router is one of the devices in a computer network used to forward data packets. Every router has to connected to more than or two networks. For example, routers are connected to two WANs or LANs and its own Internet Service Provider’s network. As a user of any brand of a router with the default IP address, you have to be aware of how you can take advantage of this resource in your computer network. You can take note of the following five things associated with the default IP address of any brand of an advanced home network router. You will get an overview about how to use your router based on its default IP address and make your home network router efficient. If you have bought a router from a well-known brand on the market, then you have to set up it in a proper way. Keep in mind that you have to get the user manual while buying a router. This user manual is very helpful to setup a router and troubleshoot any kind of problem associated with your home network router. The first step in the router setup process is cabling installation. You have to connect your modem with the WAN port and PC with the LAN port. Once you have done this simple process, you have to configure your computer in order to receive the Internet Protocol from the router. Now, you have to power off the modem, router and computer. You have to make sure that you power on the following networking devices one after another. If you login to the router, then you can change settings of the router as per your requirements. For example, you can choose the WAN type in the General Setup section of your router administration panel. Focus on the Internet Service Provider’s user manual and know about the WAN type at first. In WAN settings, you can change different things like dynamic IP, static IP address, PPPoE, PPTP, L2TP and other things. Once have saved all changes you made in this section, your router is effective as you have expected. You may do not like to use the default username and password of your router on a regular basis. You can change these login details and get the complete support to make your dreams about the home network security come true. You have to change the router administration panel password before someone else does it and make your home network unsecured. Choose the Administration or Tools section in your router administration panel. Now, you can get an option to change the password of your home network router. You have to set the most complex password that cannot be predicted by others. Do not forget to remember this new password. This is because you have to use this new password whenever you login to your router’s administration panel. Many users of routers get much difficulty when they get the most complex problems. Even though they have the user manual on the subject of how to troubleshoot their router’s problems, they get confused with some sophisticated features. Every user of wireless router seeks what they have to do when their wireless router is slow in its performance. They have to bear in mind that almost every router works on the 2.5GHz band in the most efficient manner. They have to check whether they have installed any electronic device that operates on this band or not. For example, some brands of cordless phones, microwave ovens, baby monitors and garage door openers use this band. This is advisable to remember that three real channels of this band work without overlapping with each other. These three channels are 1, 6 and 11. Individuals who change the router channel in a proper way can increase the pace of their router successfully. You may do not upgrade your router’s firmware so far. You can upgrade your firmware and get benefits from the most efficient home network router directly. If you visit the router manufacturer’s website, then you can download a firmware upgrade almost immediately. Once you have downloaded the latest firmware of your router, go back to the administration panel of your router by log in using the user name and password. You have to locate the firmware upgrade section in the management section of your router. An easy way to follow simple steps for upgrading the router firmware gives you a wide range of benefits as awaited.